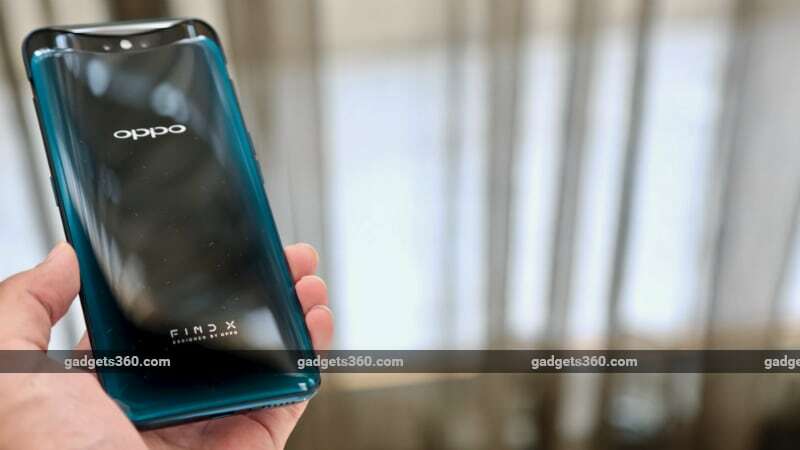 The Oppo Find X is the Chinese company’s latest flagship in the Find series, and it was launched in India on Thursday. Oppo Find X’s most unique and interesting feature is a camera slider that allows its front face to be completely dominated by the screen. This marks the comeback of Oppo’s Find series, which has not been refreshed since the launch of the Oppo Find 7 and Find 7aback in 2014. The Oppo Find X is the most expensive model in Oppo’s India lineup. The Oppo Find X price in India is Rs. 59,990 for the model with 8GB of RAM and 256GB of storage, and there are no other configurations. A limited Automobili Lamborghini Edition was also announced at the event but is not coming to the Indian market as of now. Key specifications of the Oppo Find X include a flagship Qualcomm Snapdragon 845 SoC, 8GB of RAM, 256GB of storage, and the unique camera slider that houses the selfie camera as well as the dual rear cameras. This smartphone, much like other offerings in Oppo’s lineup, runs ColorOS 5.1 on top of Android 8.1 Oreo. The phone will be available exclusively on Flipkart online, but also across Oppo’s offline stores. It is one of the most unique smartphones available right now, but can it compete with flagships such as the iPhone X (Review), Samsung Galaxy S9 (Review), Huawei P20 Pro (Review), and OnePlus 6 (Review)? We spent some time with the Oppo Find X and here are our first impressions. We got access to a Chinese unit of the handset, as the Indian units are not yet available for testing. With a large 6.42-inch edge-to-edge AMOLED display, the Oppo Find X looks sleek. The 19.5:9 aspect ratio means that the resolution is 1080×2340 pixels, making this phone taller than usual. There is no notch, which gives the phone a seamless design. The Find X comes with iPhone X-like gestures. These include swiping up from the bottom (in the middle) to go to the home screen, swiping up and pausing to open the app switcher, and swiping up from a corner to go back. At first glance, there is nothing of interest on the back of the Oppo Find X. There is no fingerprint sensor, which means you are stuck without any other biometric unlocking solution. You will have to use a passcode or pattern to unlock the phone quickly. The rear cameras are also hidden thanks to the camera slider. There is, however, an Oppo logo and “Find X – Designed by Oppo” branding. On the left of the smartphone are the volume control buttons, and the lock/ power key is on the right. The USB Type-C port and SIM card tray, which supports two Nano SIM cards, are on the bottom. 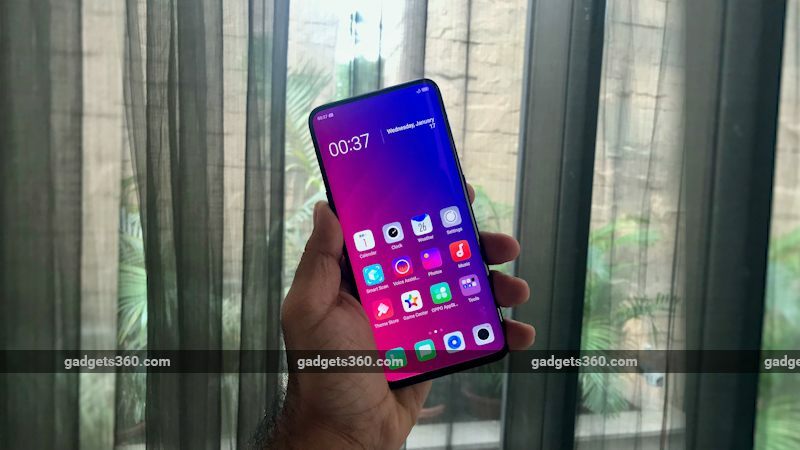 The design is one of the highlights of the Oppo Find X. It comes in Red and Blue colour options, both of which are extremely glossy and great to look at. It feels slippery in the hand, but the width is just right. This might not be the most power- and feature-packed phone on the planet, but it’s definitely one you’d love to show off. The camera slider is triggered when trying to unlock the phone using facial recognition, and also slides out when using the stock camera app or any third-party one. It does not snap out, and vibrates while it is sliding into place. It goes back in slowly and you might have to wait a couple of seconds before putting the phone back into your pocket. The front of the slider houses the 25-megapixel selfie camera and sensors for the O-Face 3D face recognition technology, which Oppo claims is similar to how Face ID works on the iPhone X. The rear of the slider sports the 16-megapixel and 20-megapixel rear camera combo. Stay tuned to Gadgets 360 for our full review in which we will extensively test the performance of all the cameras on Oppo’s 2018 flagship. At its core, the Oppo Find X is powered by the Qualcomm Snapdragon 845 SoC, which is now the primary choice for premium flagships globally. The Oppo Find X has 8GB of RAM and 256GB of storage, so performance shouldn’t be much of an issue. Initial impressions suggest that this phone is quite snappy, and we didn’t experience any lag in the few minutes that we got to spend with a sample unit at the launch event. We will soon be able to test the Indian version of this phone in real-world conditions to see how well it performs. The Oppo Find X runs the heavily customised ColorOS 5.1 UI on top of Android 8.1 Oreo. As stated earlier, the unit we tested was the Chinese variant, and it did not have common Google apps including the Play Store. Instead, we found dozens of preloaded Chinese apps, including WeChat, Ctrip, Taobao, Alipay, 58Life, Weibo, Amap, and Baidu. We will have to wait till we receive the Indian unit for testing to comment on the preloaded apps and the amount of bloat in the software. Let’s talk about some of the software features that this phone brings to the table. The first one is 3D Omoji, which makes use of the 3D facial recognition sensors on the handset. There are 5-6 animal characters but users can create their custom avatars as well. Initial impressions suggest that the AR-based emoji characters read face movement well but perform poorly when detecting lip movement. Interestingly, Oppo India’s website does not mention this feature, so it might not be supported on the Indian units. Face recognition with the Oppo Find X is pleasant enough. Setting it up is extremely easy; it takes a few seconds to register your face and the phone gives you a choice of activating face recognition when you press the lock button or after you swipe up. Either way, it accurately reads the saved facial pattern. While the camera slider opens up pretty quickly, we would have liked it to be instantaneous. Additionally, there seems to be no way to manually push out the slider. Also, it’s worth noting that Oppo is not advertising any sort of waterproofing on the Find X, which sets it apart from other phones at this price level. The Oppo Find X also features a large 3730mAh battery that should be enough to last through an entire day. If not, the Find X comes with Oppo’s VOOC charging technology, and the company claims that you can get two hours of battery life with just 5 minutes of charging. We will also test the phone’s battery performance in our full review, coming up soon. Stay tuned to Gadgets 360 for an extensive review of the Oppo Find X’s performance, battery, software, and cameras, and to find out whether or not this phone is worth the Rs. 59,990 price tag. 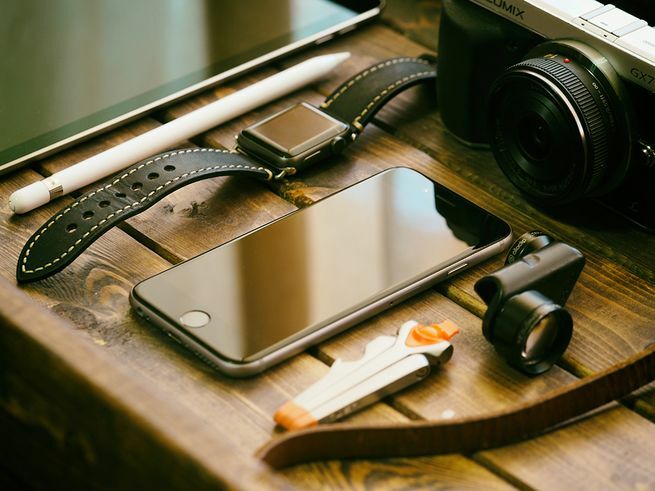 We all want to get our hands on the latest in shiny new gadgetry. Unfortunately, the newest tech tends to come with the most premium prices. But it doesn’t necessarily have to be that way. By keeping an eye out for seasonal price changes, annual product cycles, special offers, and refurbished devices, you can make sure you’re buying your hardware at the best price point possible. If you want the best value from your future tech purchases, check out some of the tricks in this guide. Good news for eager bargain hunters: Plenty of online retailers are willing to slash prices in order to attract your business. To find these discounts, head to price comparison sites such as Google Shopping and PriceGrabber, which will list where something is selling for the cheapest price. Before you start your purchase though, check to see how extras like shipping charges and warranty costs will add to your total cost. Don’t forget the biggest online retail behemoth out there. This guide to saving time and money on Amazon has lots of useful advice, such as tracking price changes with CamelCamelCamel. Plenty of the tips apply to other sites as well. For example, sign up for the email newsletters and follow the social media accounts of your favorite stores in order to receive a heads up on special tech deals you wouldn’t otherwise notice. On top of individual price comparison sites, you can install price comparison extensions for your web browser. The Shoptimate add-on fits right in your browser; when you visit one of a broad range of shopping sites, it will pop up to share additional price options in real time. InvisibleHand works similarly, and it also covers flight and hotel comparisons in addition to e-tail. Finally, Honey will lead you toward discount coupons and codes to take even more money off your total. Beyond sites and extensions, you can compare some prices on your own. Scroll down to the bottom of a product listing on Amazon, for example, and you’ll see side-by-side spec and price comparisons of similar products. Every listing shows when the item first went on sale, so you can make sure you’re not comparing TVs or laptops from different years. Once you’ve finished shopping, you’re almost ready to purchase. Before parting with your credit card or PayPal information, research the history and specs listings of the gadget that’s tempting you. After all your comparing, a low price might have tricked you into selecting an older product, or one that’s not exactly what you’re looking for. The time you shop can make a difference to the price you pay. So if you can hold off on a purchase, you might be able to get it for cheaper. For example, the sales bonanza that kicks off with Black Friday doesn’t really stop until Christmas. The biggest reductions during this period will be on older, mid-range tech rather than the very top-end stuff, so by all means splurge, but make sure you know what you’re getting. When should you buy to get discounts on the best and newest gadgets? These deals don’t usually hit the scene until immediately before or after an updated version arrives. If you wait for the new model to appear, the current (and soon to be “old” model) is likely to be much cheaper. For the iPhone, for instance, shop in September, while Samsung’s Galaxy phones get less expensive around late February or early March, coinciding with the Mobile World Congress tech expo. If you know when the new iPhone is coming out, you can save money on the older model. Not every gadget has such a predictable release schedule. But a few minutes’ research online should tell you how long a tablet or a digital camera has been on the market and whether there are any rumors of a new and improved model in the pipeline. 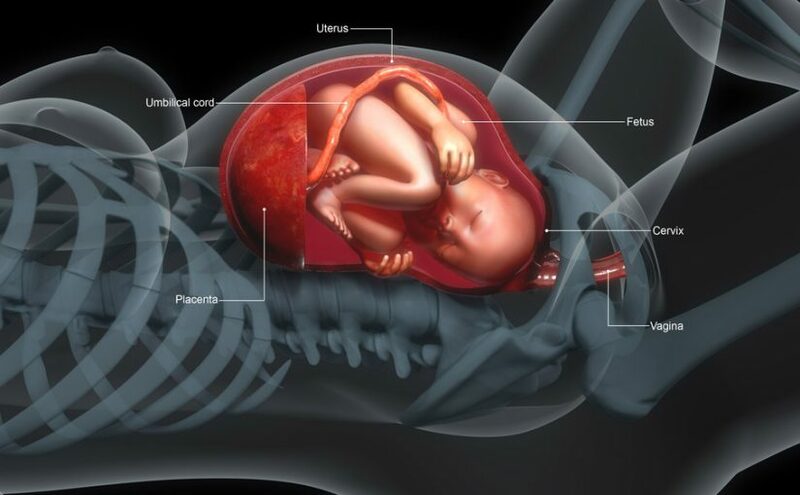 If you really want to get technical, look at the components. For example, Apple and all the other big laptop manufacturers base their product cycles around new CPUs from Intel, so you can predict when an updated range is about to arrive. (In case you’re wondering, the next batch at the time of writing should show up in late 2017). You don’t have to become an expert on silicon. But keep a cursory eye on the tech press for Intel CPU news in order to choose the best time to make a purchase. Ask yourself: Do you really need a laptop or a phone that’s fresh out of the box, untouched by human hands? Refurbished tech sometimes gets a bad reputation for faulty or knock-off gadgets that are priced to sell. But the reality is that you can make some serious savings on refurb tech that is virtually as good as new. If someone has already opened your laptop, decided they don’t want it, and sent it back to the supplier, what do you care? As long as it works and you’re saving a chunk off the list price, you can enjoy your new product. These days, a lot of refurbed gear comes with a guarantee and warranty, so you’ll still have the security of purchasing a verified gadget—and the discounts can be substantial. The Apple site is one place to go to for refurbed tech. It’s not the only place you can buy refurbed gear, but eBay is a good place to get started. Look for refurbished versions of your favorite devices. Before you spend your money, check for good seller feedback and a warranty. Pay attention to the listing and the supplied photos as well, so you’ll know exactly what you’re getting. Many of the big tech companies, including Dell and Apple, have refurbished storefronts of their own. Coming from the companies themselves, you know the goods will be comprehensively checked and good to go, so you don’t have to worry about the hardware dying on you after a few months. Again, double-check the age and spec of whatever you’re buying so you can do a proper comparison with the prices for the newest, top-end models. If you know what you’re looking for, then you can find some great deals on older pieces of technology. You just need to learn the difference between a gadget that’s cheap because it’s almost obsolete, and a gadget that’s cheap because it’s just been replaced by something newer. We can’t give you advice for every single laptop, desktop, phone, tablet, TV, camera, and wearable line out there. But let’s use smartphones as an example: The Galaxy S7and the iPhone 7 were launched last year, but they’re both still very capable devices. When you start shopping, focus on flagship tech that’s now slightly older, rather than tech that was originally in the budget or mid-range section of the market and has now fallen even further behind. Electronics like TVs can hang around in stores for a long time. Again, the specs list can tell you just what you’re getting. The newest TV sets have support for 4K and HDR, so if you can live without either or both of these (perhaps if you’re shopping for a smaller bedroom set that doesn’t need the highest resolution), you can get a model that launched two or three years ago—instead of the latest TV on the market—for a significantly cheaper price.If you don’t mind used gear, from sites such as eBay or Craigslist, then you can save even more: Just follow each site’s official buyer advice and do your research into the item you’re purchasing and its seller. That means carefully checking the photos of the device and its description so you know exactly what your money is buying. Debt consolidation includes borrowing a sum of money from a lower interest lender to clear out your debt with the higher interest lenders. With this movement, you can get rid of high interest debt and just be left with an easy to manage, lower interest loan! Who hasn’t heard of the stats, and it goes like this: if you have a credit card debt of $10,000 with an 18% rate of interest and you can only pay a minimum of $200 per month, then only $46 of the money is going towards the principal and the rest $154 is spent on the interest. This way you’ll end up paying $9261 as interest in eight years…! But with debt consolidation, you can easily opt for a consolidation loan of $10000 at an interest rate of 9.5% and use it to clear your credit card arrears. And this way you can pay your loan in a period of 5 years or so with $2700 of interest in total. If you’re under debt of different lenders, then it may be difficult to keep a track of different due dates and payment amount. In fact, you cannot easily track your progress also. But, with consolidation of debt, you only have to pay for one loan and just have one account to track. Thus, it is a simple and easy to handle repayment plan. 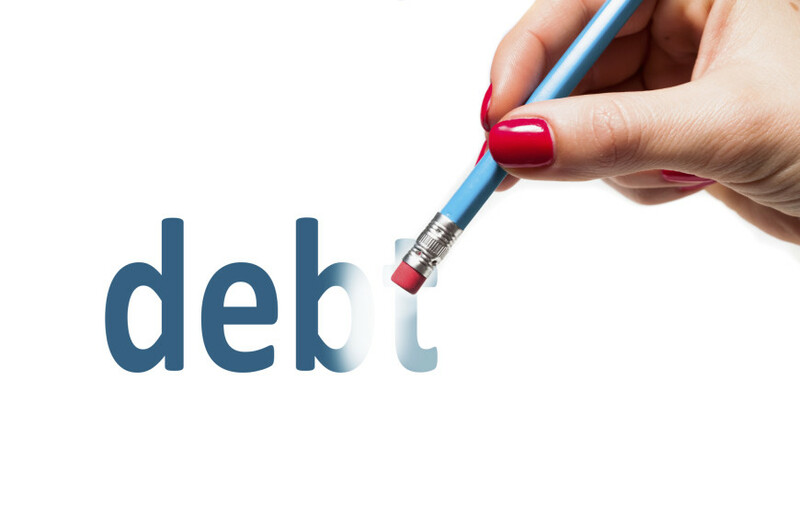 With debt consolidation, you can efficiently monitor your spending habits. You can prepare a budget and make use of money management tools to control your extra expenses. Talking about budget, you also need to have a good strategy to cover your expenditures without switching to credit card or greater interest loans. A low rate loan plan will help you get rid of your credit card outstanding, but if you do not control your expenses, you’ll be back at the starting point along with an extra loan amount on your head. Debt consolidation is more like an instrument, not a full-fledged solution. One needs to use it cautiously and save thousands of dollars in interest every year. It can serve as a great method by allowing the debtor to get a perfect grip on debt and loan, but with cautious steps. As a borrower, one needs to be very clear about the advantages that it will render in comparison to the present loan structure and you surely need to do calculate it well. What is even more important is debt consolidation loan shouldn’t be taken as a license to go for additional debt. The purpose of the loan is to lower down the pressure of your unpaid arrears; you shouldn’t end up taking new debt. It will lead to a dicey condition and eventually more fiscal distress.